THISisMODERN.net: CD REVIEW: Truth & Salvage Co. "Truth & Salvage Co."
CD REVIEW: Truth & Salvage Co. "Truth & Salvage Co."
Southern rock, country music, and folk are all elements of Truth & Salvage Co.'s debut album. You cannot pinpoint a specific genre or style to put these guys and their music into. For comparison's sake, it's kind of like Crosby, Stills, Nash, & Young performing with the Allman Brothers as their backing band. These guys certainly know how to deliver their music on this album, and the harmonies and the lyrics set the album apart from anything on the scene today. "Call Back," "Welcome to LA," and "Old Piano" are all excellent tracks. Fans of Fleet Foxes and the Avett Brothers will equally fall in love with this band. The music on this album, which was produced by the Black Crowes' Chris Robinson, is set apart from anything you will hear on the radio, making for an incredibly unique and interesting recording. 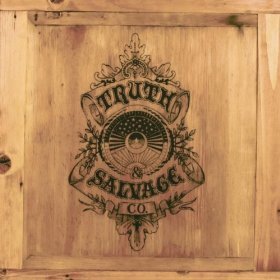 Labels: cd reviews, Truth And Salvage Co.